Australia’s leading online supplier of awesome and unique gifts and we have been helping people with their Adrenalin gift ideas for over 19 years. We will book your adventure or provide you with Adrenalin-fuelled Gift Vouchers. 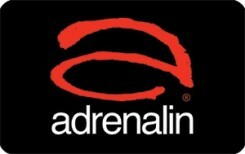 Our range includes over 2,000 of the best Adrenalin adventures in Australia and the Globe.